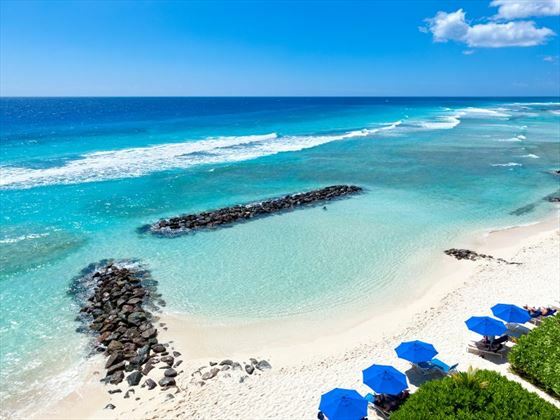 This unforgettable twin centre holiday combines the iconic sightseeing of New York City with the stunning Caribbean beauty of Barbados. 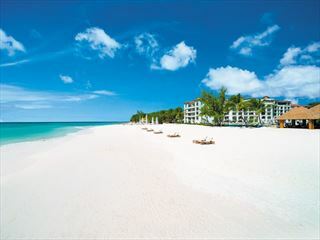 Starting in the Big Apple you’ll enjoy three nights of shopping and taking in the amazing sights before jetting over to the South Coast of Barbados for a week in a stylish all-inclusive resort. This is a tailormade holiday itinerary which can be changed to suit your requirements. We can add more nights or change up the hotels – call us for a tailored quote that is designed just for you. Today you’ll arrive in New York City ready for an unforgettable three night in the Big Apple. Make your own way to your accommodation Sheraton New York Times Square – a comfortable hotel at the heart of the action. You’ll have the next two days in New York to explore the attractions and go sightseeing throughout the world’s most iconic city. Walk through Central Park, climb the Empire State Building and enjoy some retail therapy on the famous Fifth Avenue. New York is an incredible city with lots to offer no matter your interests. 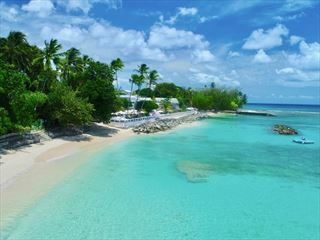 Today you’ll catch a flight over to Barbados. 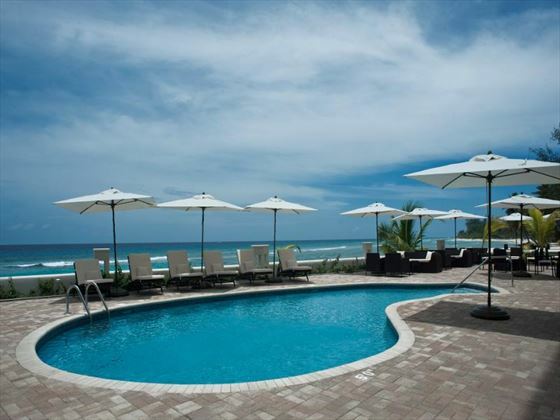 Here you’ll be met at the airport and transferred to The SoCo Hotel on the South Coast. You’ll spend an incredible week in Barbados, enjoying the sun, sand and sea of this beautiful Caribbean island. 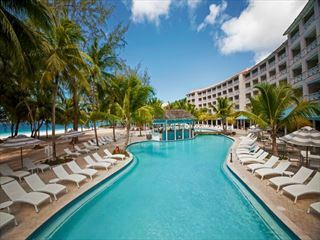 The SoCo is a charming all-inclusive hotel and will make your stay relaxed and enjoyable. 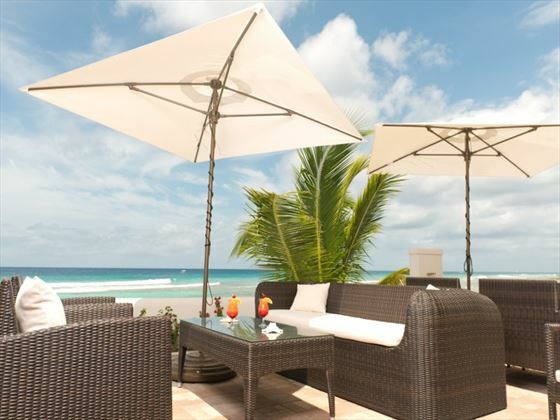 With excellent facilities and a sophisticated atmosphere, you’ll love this boutique hotel. Today you’ll transfer back to Barbados’ airport where you’ll catch your flight home. Flights available with Aer Lingus, United Airlines, Delta Airlines, British Airways, Virgin Atlantic and US Airways. Air fares vary considerably so a variety of airlines may be included in your quote to ensure you are presented with the best available price. Flights also available from Manchester with Thomas Cook on Thursdays until April 2015 or with Virgin Atlantic on Mondays (outbound flight is via St Lucia). The Sheraton New York Times Square is only five blocks away from Times Square, less than a half-mile from Central Park and only minutes from some of the best shopping and entertainment venues in the world. One of the most iconic buildings in the Big Apple, the Sheraton New York Times Square Hotel has stood proudly against the city skyline since 1962. Just five blocks away from Times Square, less than a half-mile from Central Park and only minutes from some of the best shopping and entertainment venues in the world. Whether you’re travelling for business or pleasure, you’ll find the perfect combination of comfort and convenience. Now better than ever, this sophisticated stopover features 1,781 recently renovated accommodations in the heart of Midtown on bustling 7th Avenue. With inspiring New York cityscapes, upgraded amenities and Plush Sheraton Sweet Sleeper beds. The hotel has two fantastic dining options Hudson Market – an American style restaurant serving classic cuisine and fresh ingredients, and a Starbucks coffee shop with library décor and a charming fireplace. 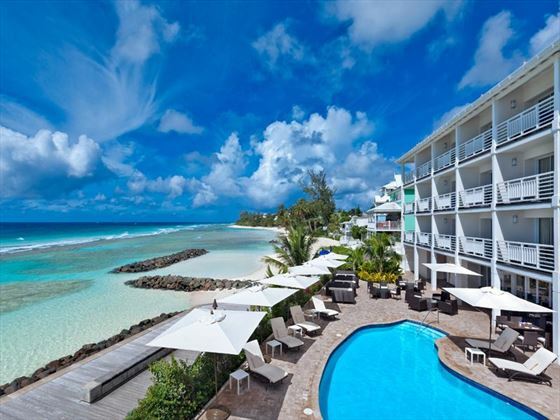 If you’re a sophisticated, stylish traveller looking for a chic getaway to Barbados, this gorgeous boutique will certainly lure you in. The SoCo offers a cool minimalist style that purely focuses on the stunning views of turquoise waters, with a gorgeous outdoor deck that entices you to enjoy the relaxed island lifestyle. Nestled on the Boardwalk by Hastings Beach, the retreat is close by to the island’s more vibrant areas, brimming with decadent seafood restaurants and quirky bars, yet still secluded enough to offer a tranquil stay with no interruptions. 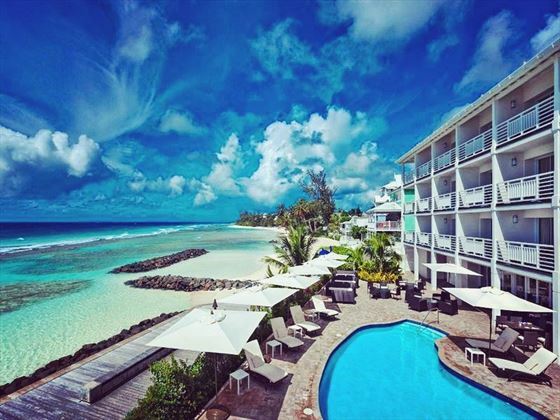 We love that this hotel offers the best of both worlds – it’s the perfect base to enjoy both the livelier and the quieter side of island life. 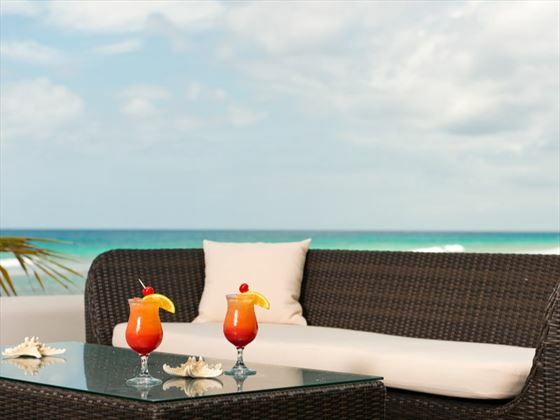 The all-inclusive, waterfront restaurant will certainly tantalise your taste buds, serving up a flavoursome taste of the Caribbean alongside beautiful ocean views, and we can think of no better way to start the day than enjoying your morning coffee out on your private balcony. 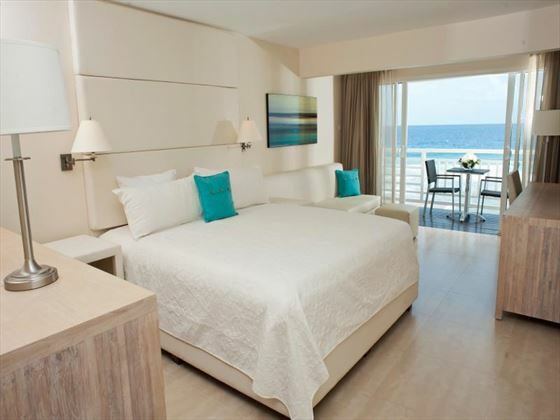 We’d recommend upgrading to a Deluxe Room too – they offer the utmost privacy and space for a luxury holiday. Top Tip – Book early and Upgrade to the larger Deluxe room offering extra space in which to relax.